Peter Jacquemyn (1963° schaarbeek) moves easily between the visual arts and music. 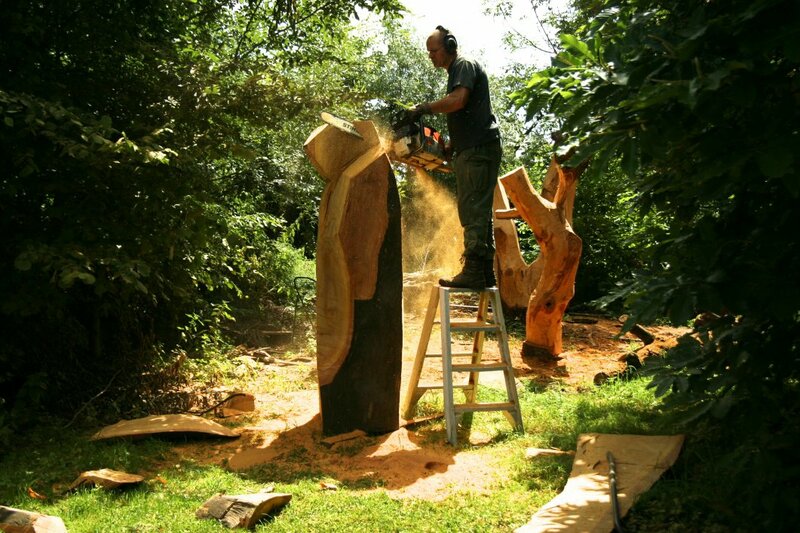 As a sculptor he assaults tree trunks with axe and chainsaw. His concerts are just as spectacular: with unbridled energy he lovingly wrestles his double bass.